Martin Bloch initially trained as an architect and later studied drawing in Berlin under Lovis Corinth, exhibiting at the Paul Cassirer Gallery. He held his first solo exhibition in Berlin in 1911, travelled to Paris and Spain, then returned to Berlin to co-found a painting school. After fleeing via Denmark, Bloch settled in London, opening a second painting school with Australian painter Roy de Maistre (1894–1968). He exhibited in the controversial Exhibition of Twentieth-Century German Art at the New Burlington Galleries in 1938 and held his first solo London show at the Lefevre Gallery in 1939. Between 1940 and 1941 Bloch was one of many so-called ‘enemy aliens’ interned, first at Huyton Camp, Liverpool, then briefly on the Isle of Man. In later years, his fluid style of painting and spontaneous use of colour inspired his students at the Camberwell School of Arts and Crafts. A regular exhibitor with Ben Uri, he held a joint exhibition with Josef Herman at Portman Street in 1949 and a memorial exhibition was curated by Ben Uri in 1963. His work also featured in Ben Uri’s Festival of Britain Anglo-Jewish Exhibition 1851–1951 Art Section, an adjunct to the main Anglo-Jewish Exhibition held at University College. 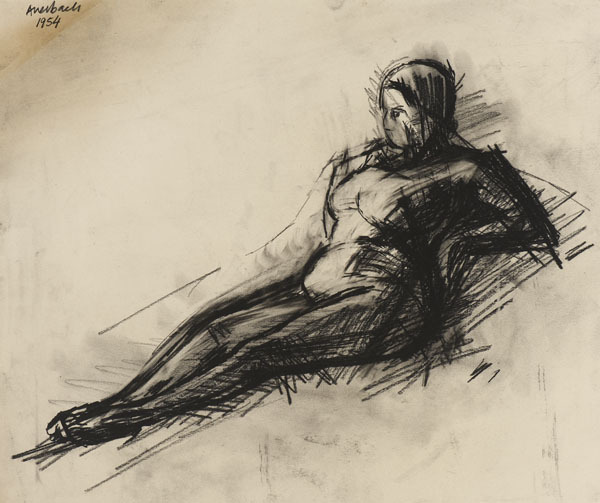 A popular and effective teacher, Bloch taught at Camberwell School of Art between 1949 and 1954, and this reclining female may have been executed during one of his life classes, which were 'full to the rafters' with enthusiastic students. Bloch's graphic work was the result of careful observation. 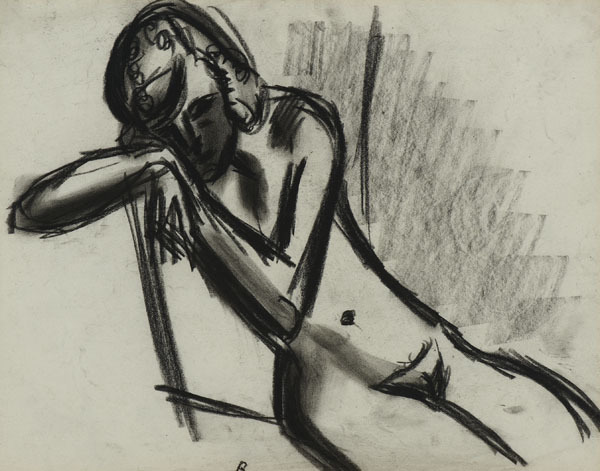 His friend and fellow artist Josef Herman noted how he pored over sketches and reworked images, often adding emphatic black lines in ink and wash to pencil sketches. His grandson, Peter Rossiter, has called Bloch's life drawing 'a pursuit in itself', further noting that 'The key to understanding Bloch's drawings, both landscape and figure, comic and serious, is to see them as being as varied as a dialogue. The aim of this dialogue is a relentless pursuit of truth'.